Our skin is covered in tiny hairs, each hair follicle has a pore at the top of it. The hair follicle has a gland inside it that produces oil which is called the sebaceous gland. When the sebaceous gland releases oil, the oil rises to the top of the skin and collects further oil inside the pore. Excessive sebum: This is when a person's sebaceous gland produces too much oil which makes the skin oily. Increased hair follicle volume: This is when the pore at the end of the hair follicle becomes clogged and oil is collected in the pore and combined with dirt or makeup, which can block the pore. This enlarges the pore and if the pore remains clogged, a pimple may develop. 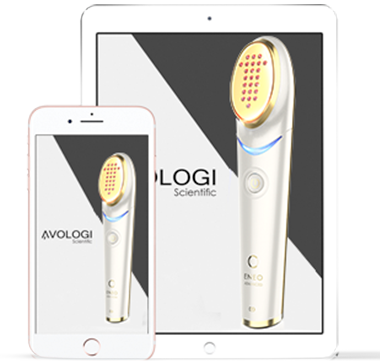 Avologi's medical devices light-based treatments reduce the size of enlarged pores and also reduces the amount of them. The Eneo collection uses a combination of blue light therapy and red light therapy. Blue light is generally used to kill the bacteria that causes acne, providing an effective treatment for blackheads and whiteheads, whereas wavelengths of red light are normally used to speed up healing and stimulate collagen production, simultaneously shrinking enlarged pores and tightening the skin.